Skype is one of the most common ways to make video and VoIP calls, but there are a number of annoyances that seem to be carried over from traditional phone calls. It doesn't need to be this way, though, so Microsoft announced a few months ago that it planned to modernize Skype. Now, the first wave of changes are set to roll out, and they'll be coming to the Android app in the next few weeks. For starters, phone calls will no longer be tied to the person who starts them. So, if you start a call and two people join it, you can leave and the other two can keep on chatting. Making calls will be easier as well. 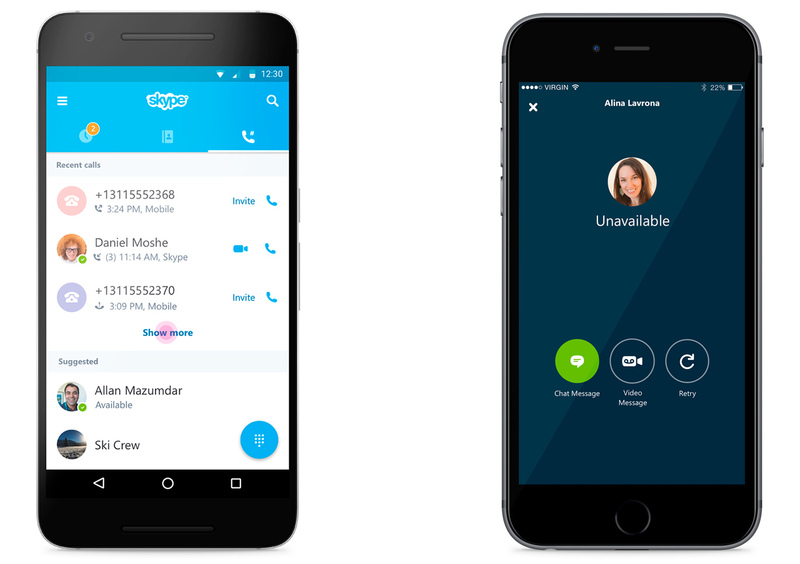 The "Call phones" tab in the app will just become "Calls" and provide access to all of Skype's various call options (VoIP, video, and landline). This page will also make it easier to buy Skype credit, apparently. Voicemail is also getting a makeover, which is long overdue. You can still leave a regular voicemail message, but video messages will be an option too. The choice to simply send a chat message from the voicemail screen will also be available. It's not all good news, though. Skype is ending support for custom voicemail greetings and SMS transcriptions.